Welcome to the new era of home cooking. 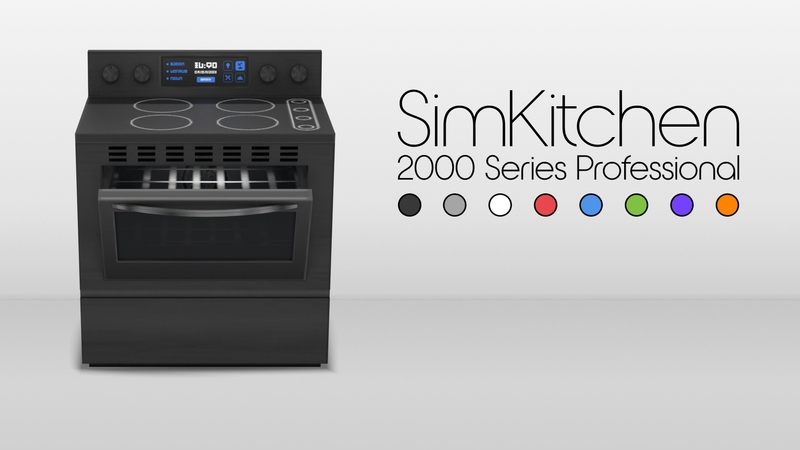 With the new SimKitchen Stove 2000 Series Professional everyone can cook. 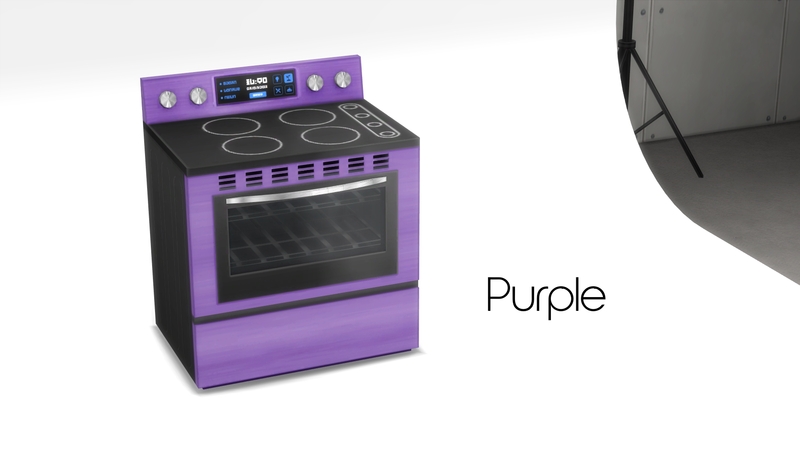 It's crafted from precious materials and comes in stunning colors, including a white ceramic limited edition version. The body is completely made out of metal, the door is built with the most advanced scratch resistant glass. 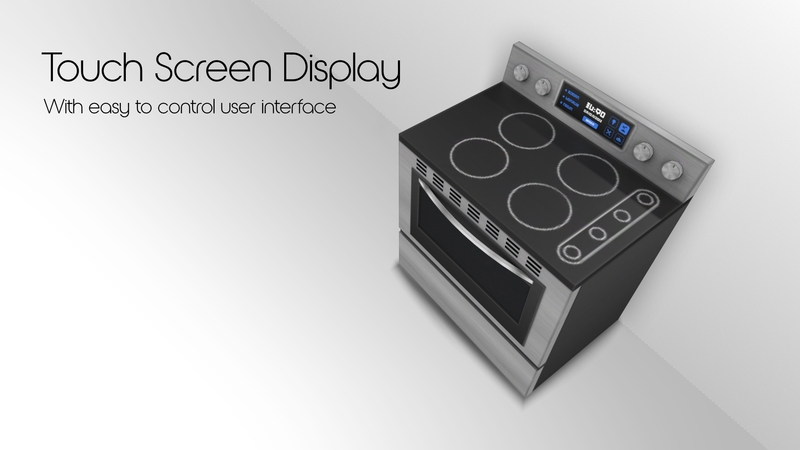 Navigating through the different cooking modes for the oven has never been easier, thanks to the new touch screen interface. Top of the line experience. 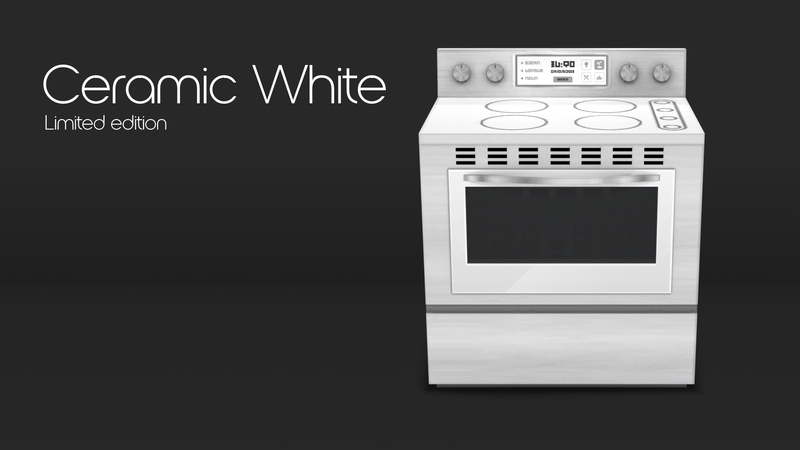 The stove comes with 8 swatches, one of them is a stunning Limited Edition Ceramic White.